I haven’t done any sightseeing in Poland for quite a while. Every time I came home for a short break I would sleep, eat and just be lazy and didn’t bother to take trips outside of town. That is probably why I am surprised now to see how many new and incredible things my country has to offer. 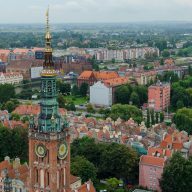 Poland is finally investing more and more in tourism, creating new attractions for visitors. 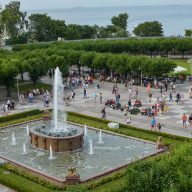 Every region has something exciting to offer and Pomerania is no different. 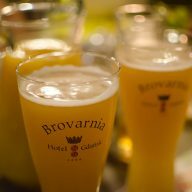 One of the newest places that has recently popped up on the map of the area is Gniew Castle – a former residence of Teutonic order and nowadays a place where everyone can find something fun to do. 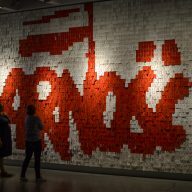 When I first heard that PROT (Pomorska Regionalna Organizacja Turystyczna) – a regional tourist board – is taking me to yet another historical place, I wasn’t that excited. 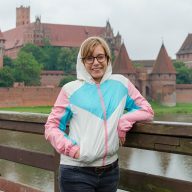 I like sightseeing and normally I enjoy listening to stories about the past times, but I had Malbork castle ahead of me and I thought seeing yet another similar sight would be a bit boring. I was wrong. 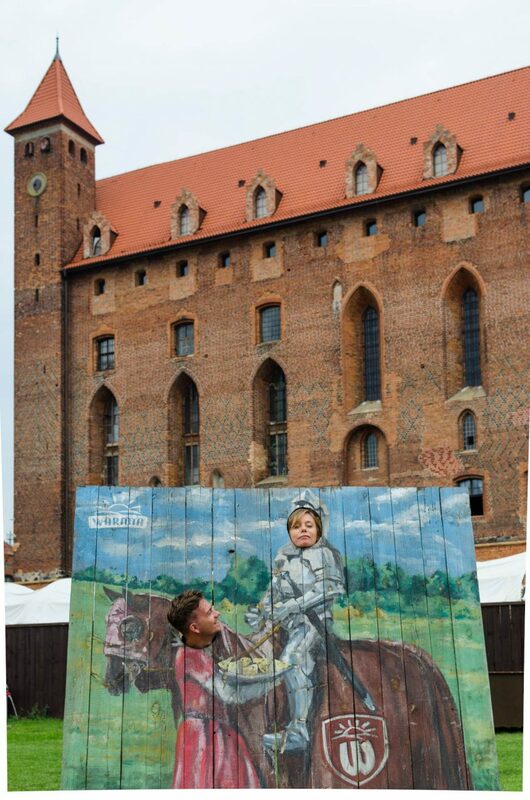 Gniew turned out to be a fun place and I thought that if I had had a family I would have definitely gone there for a Sunday afternoon with my kids. 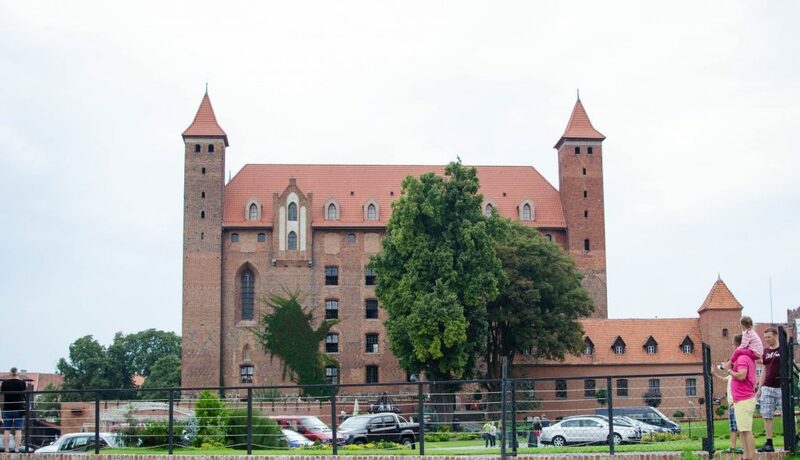 The castle has recently been bought by one of Poland’s big corporations and their ambition is to turn it into a place, where people would come and enjoy themselves. The building itself wasn’t entirely renovated during my visit and the work was ongoing. 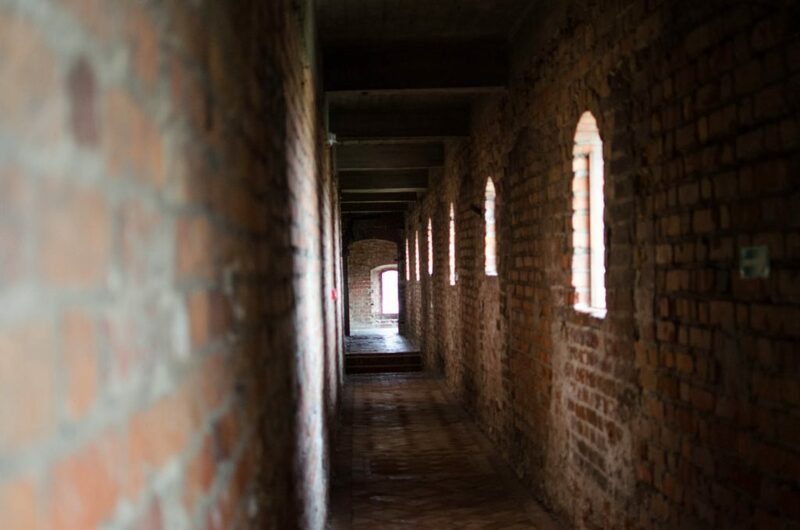 However, the underground part was already opened and I could visit the torture chamber, where witches, criminals and those resisting the Teutonic order were punished for their ‘sins’. 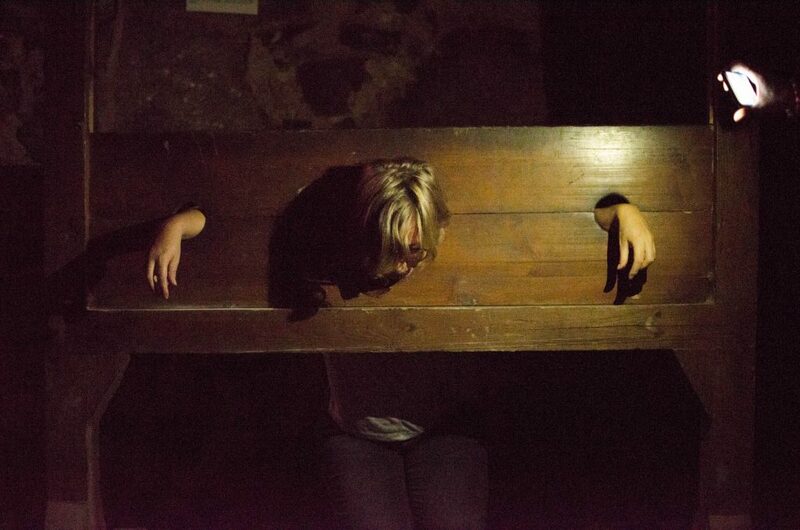 To give visitors a hint of how it looked like back in medieval times, the rooms are filled with torture devices, which you can try out for yourself, screams and moans are projected from hidden speakers and mannequins, standing behind bars, look quite real in dim light. The upper level of the castle holds a small exhibit of every day tools used hundreds years ago. Here you can also find fun posters, especially prepared for children to make it easier for them to understand history and life of people who once inhibited those lands. Some rooms are also used for children’s workshops and business conferences. I liked the torture chambers, but I was a bit underwhelmed by the rest of the building. I thought that from the outside it looked stunning, but the inside wasn’t worth a visit. However, the real fun awaited me outside. The back of the castle has been turned into a small zoo with domestic animals. Here you can see donkeys, sheep, geese and horses. 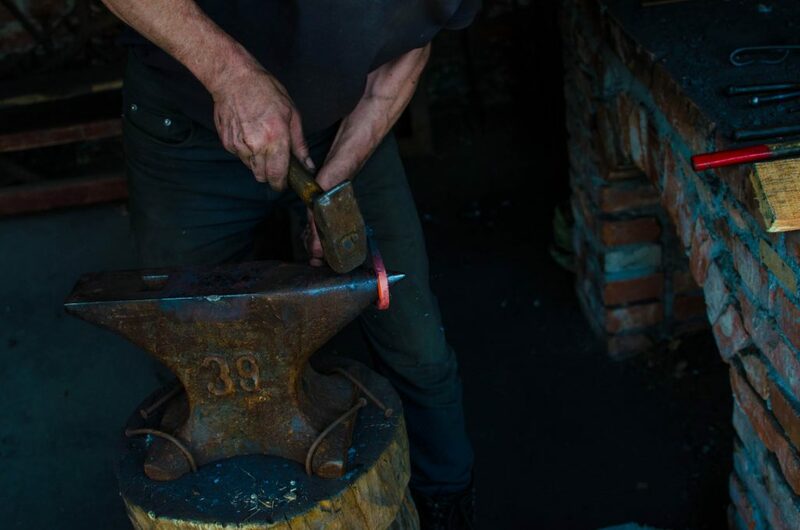 In one of the neighbouring sheds a real smith makes horse shoes and right next to him you can admire swords, arrows, bows and can make a print of your name using one of the medieval printing machines. A small playground is safe for kids to run around. There is even a climbing wall, which seems to be incredibly popular with children. 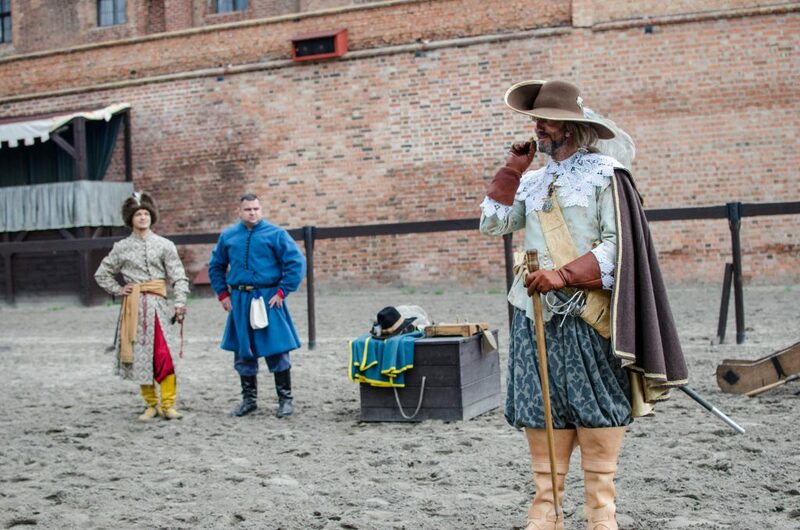 At noon you can witness a small show, during which actors dressed in the 17th century clothes fire a cannon. This is then followed by infantry exercises, which I didn’t have time to see, but heard that it’s really worth checking out. And after you get a little tired and hungry, don’t forget to visit the castle’s restaurant. It is a little dark inside, but the food is great. 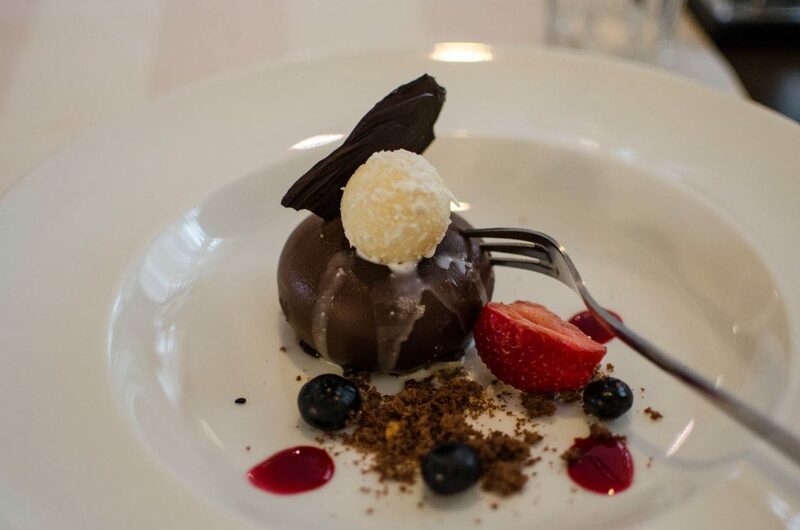 I especially recommend duck and chocolate mousse. Gniew Castle is slowly beginning to be one of the main attractions in Pomerania region in Poland. I would say that if you’re looking to learn history and are after serious sightseeing, it is probably not the right place for you. 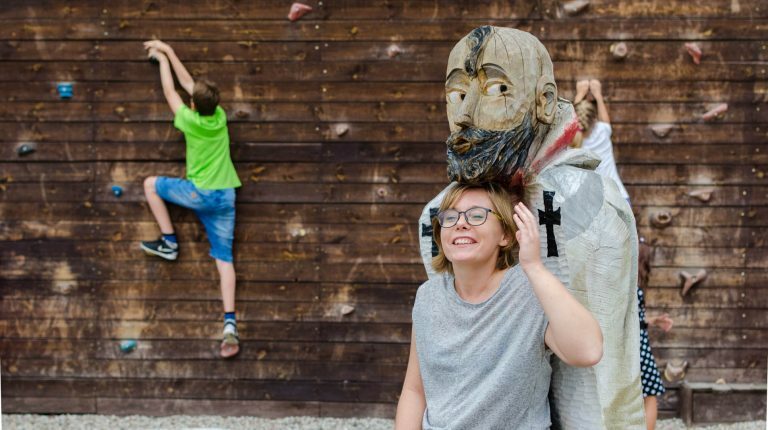 But, if you want to spend some nice time in historical surroundings and let your kids roam free, then Gniew Castle will be the perfect place for a family day out. 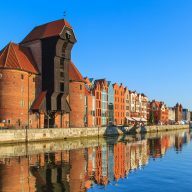 Additional information: Gniew is around 1 hour drive from Gdańsk. There are limited options on how to get there and the best thing to do is to rent a car and drive. Except the above attractions, the castle offers summer camps for kids and whole – day games. They also rent their spaces for conferences, weddings and events. Check their site for more details.